The term "critical operations" has become an enigma in today’s business world. The definition differs from one organization to the next, and even within the same company. For example, managers of departments or business units often think their most important operations are critical, but that’s often untrue. What’s more, when asked to identify the critical operation, most people will identify systems and components rather than identifying the true critical operation required to support the business. All of this puts the facility manager in a difficult position. It is true that every business has operations that cannot be disrupted without jeopardizing its success. And those operations may well justify investments in facility infrastructure — for example, an emergency generator — to prevent unacceptable downtime. But the facility manager cannot assume that every operation called "critical" is in fact critical. For an organization to minimize risk — and to determine how much to invest in doing so — it’s essential for facility managers to understand how to identify, comprehend, and document the extent to which operations are critical. This analysis is particularly important when it comes to data centers. 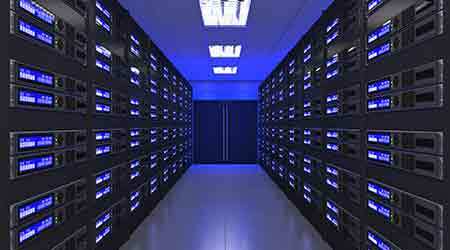 Data centers have become increasingly important to business operations. But that doesn’t mean every data center is mission critical, or that one merits a substantial investment in redundancy. The starting point is to understand what is required to keep the business functioning. A critical operation can be defined as a business output that, if interrupted during the operational period, will cause financial loss, damage, or interruption to the delivery of goods or services essential to the organization’s continued operation or success. The most common misconception is to identify equipment or components as the critical operation, rather than the output. Paying attention to the actual output, not systems and components, will enable the organization to focus on how the business will be managed if the operation is not available, as opposed to management of specific equipment failure. It’s important to distinguish between critical and important operations. "Critical" is a business output that, when disrupted during the critical operational time period, impacts the entire operation or multiple business outputs, causing significant financial loss or the potential of serious injury or loss of life. "Important" is a business output that, when disrupted during the critical operational time period, will disrupt the efficient management and output of the operation. Another distinction is also necessary. Some disruptions impact a single business unit while others affect the entire organization. A loss of output that affects the entire operation or multiple business lines is considered "mission critical" or "mission important," depending on the impact. A disruption that affects a single business unit is considered "business critical" or "business important." The business/mission important deliverables can be replaced with alternates, although this will require increased resources, additional processing time, or additional procedures at a higher cost or at a reduced delivery. Organizations often overlook the need to understand what each operation affects and which business units are interdependent. Seemingly unrelated business outputs that will impact the entire operation must be identified. In some situations, there is a specific time period when the business output is critical, while at other times it is not required. The time frame during which the business output is critical is referred to as the critical operational time period. For example, with a global e-commerce site, the critical operational time period is 24 hours per day, seven days per week. By contrast, the critical hours for a retail store are the times the store is open. It’s also important to understand business cycles when determining the critical operational time period. When the critical period is 24 hours a day, seven days a week, the organization must also identify time periods when an interruption will have less impact. Seasonal or event situations will also need to be considered — for example, Cyber Monday for an online store. The critical operational time period can also be identified as a specific period, such as the last three days of the financial month, or a specific event, such as the accounting department’s output of paychecks.